Memories by AmyInKy: Happy Easter! It was a happy (but wet!) Easter weekend for our family. 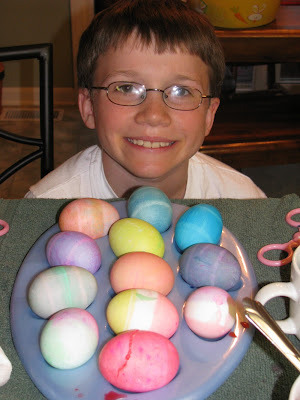 Saturday night we colored our eggs. The boys were proud of the ones they did. We opted for the box of neon food colors this year - Kevin's choice. Then we made some iced sugar cookies. We were delayed a bit due to a tornado warning so we opted for plain dropped cookies instead of rolling them out and using egg-shaped cookie cutters. They tasted the same either way. 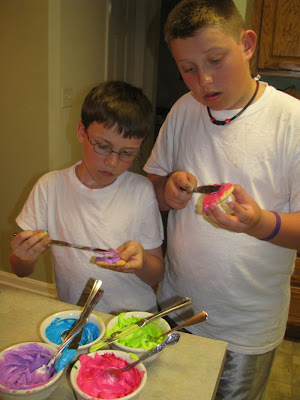 We put the neon food coloring to good use and dyed the icing, too. The rain interfered with our traditional outdoor photos. I had to stand on the porch at an angle to get the front door wreath in the photo. Don't my boys look sharp? 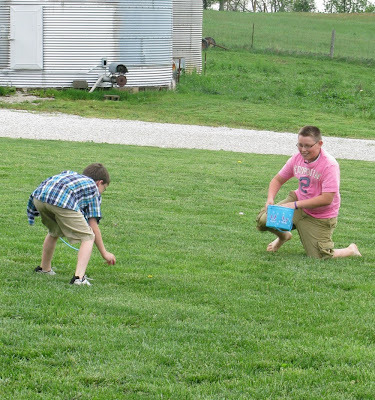 Storms were in the forecast today, so we changed our plans and instead of driving 2 hours to visit family in Indiana, we stayed close to home and went to my parents' house for lunch and an egg hunt. 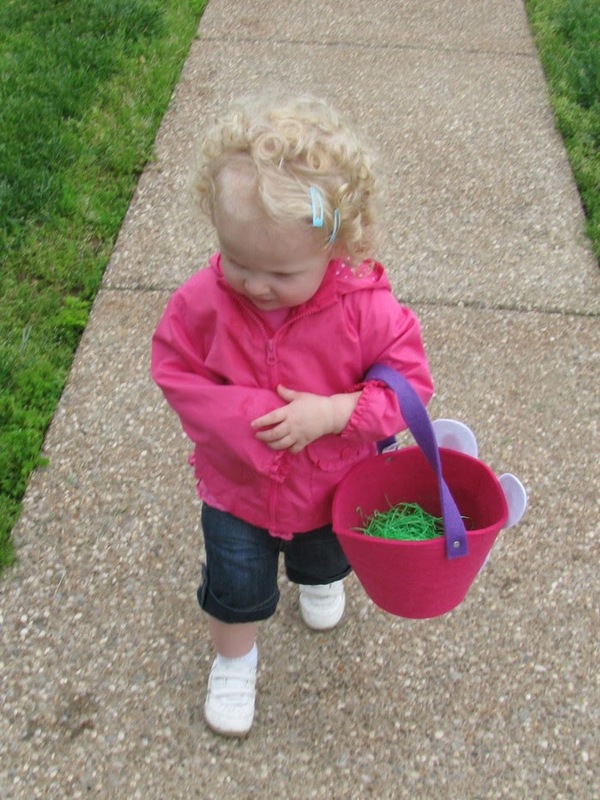 It quit raining long enough for the egg hunt. The boys had fun with their cousins. I had fun playing with Reese today. She's growing up too fast! 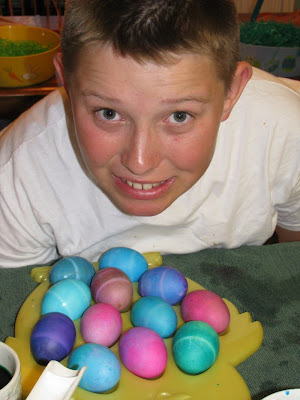 I hope you all had a wonderful Easter! Tornadoes are SO scary--I'm glad you were all safe. Reese is adorable--how did she grow up so fast?